Off the top of your head, what were some of the top supercars of the 1990s? The ones that come to my mind are: Jaguar XJ220, Lamborghini Diablo, Dodge Viper, and the McLaren F1. While all of them were iconic in their own right, only one of them has fallen into the sub-$40,000 range today: the Dodge Viper. This depreciation has made the Viper’s V10 engine an attractive option for people looking to do an unusual engine swap. 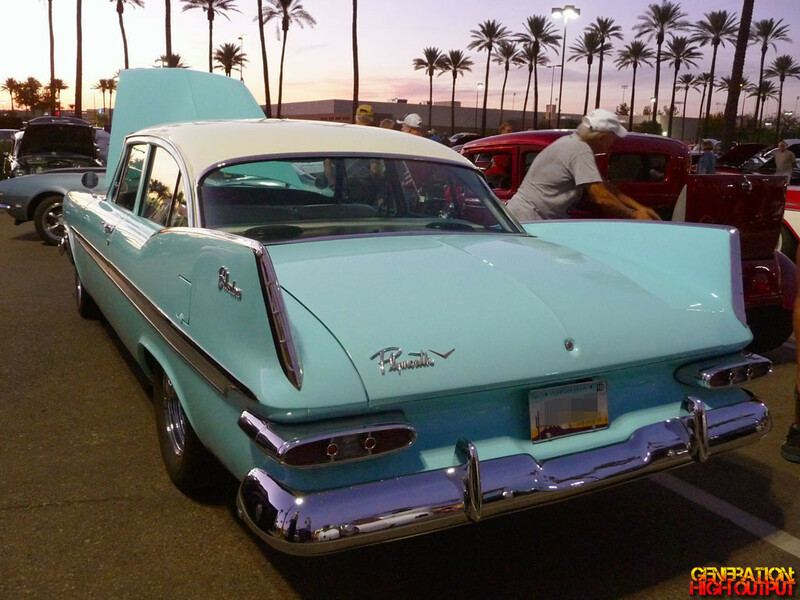 People like the owner of this 1959 Belvedere, for example. This isn’t the first car I’ve written about with a Viper V10 stuffed under the hood. 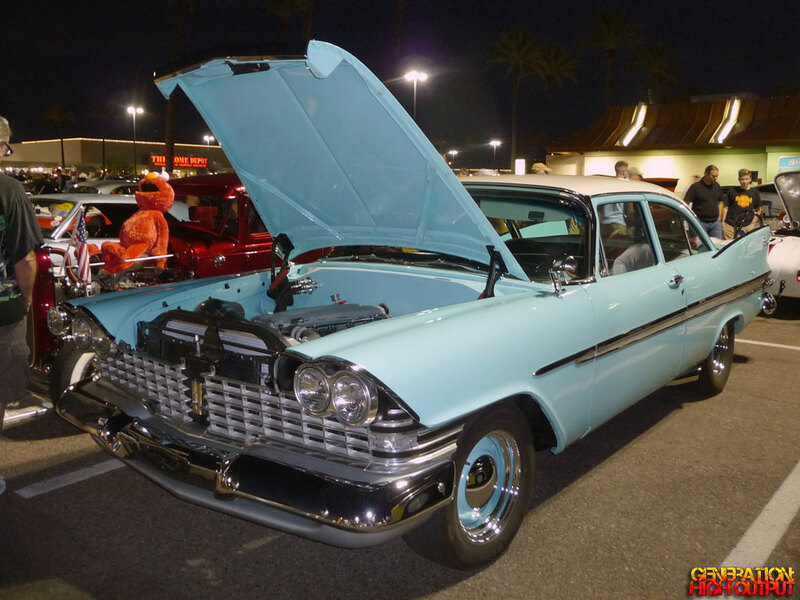 There was the twin-turbo 1966 Chrysler Imperial from HPI Customs that I saw at SEMA 2014. 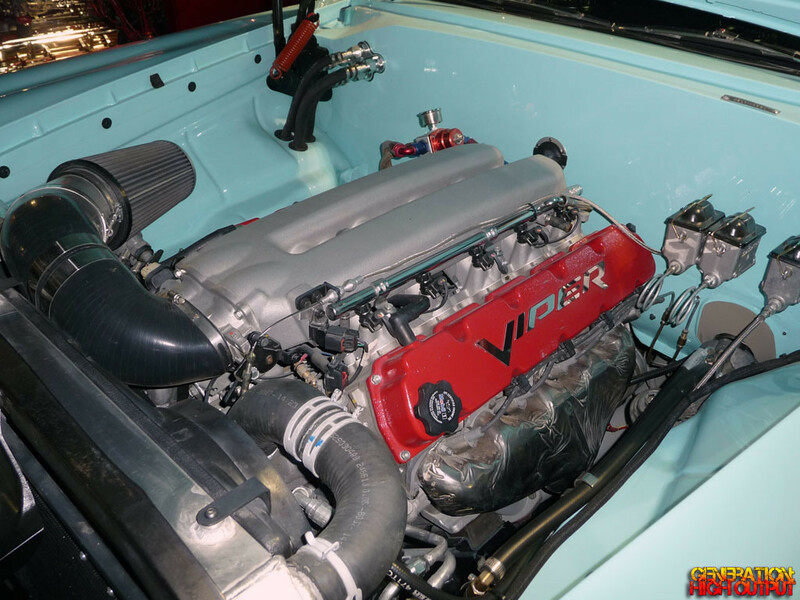 Then there was the incredible Viper-powered Karmann Ghia, also at SEMA. Then in 2015, I spotted this Viper-swapped Plymouth Belvedere at my local cruise-in! The powerful V10 engine looks right at home in the Belvedere’s spacious engine bay, and puts out a healthy 400 hp/465 lb-ft of torque. It was sourced from a 2004 Viper and is mated to a 6-speed Tremec gearbox. The large 8.0L engine is not great on gas, but should be measured in “smiles per gallon” instead. I found a couple of build threads from the owner. This car was originally beige/almond colored and took over 3 years of work to get to this point. Hats off to the owner on this incredible build! This entry was posted in Pavilions and tagged Belvedere, Dodge, engine swap, Plymouth, Viper by Trevor Freeman. Bookmark the permalink.